After a breakfast porridge and a lunch idea using Barnyard millet, it is time to make a snack with it. This is very much similar to the Ammini Kozhukattai that I have posted using red rice flour. Since the millets can be used instead of rice, I just substituted it with barnyard millet flour. 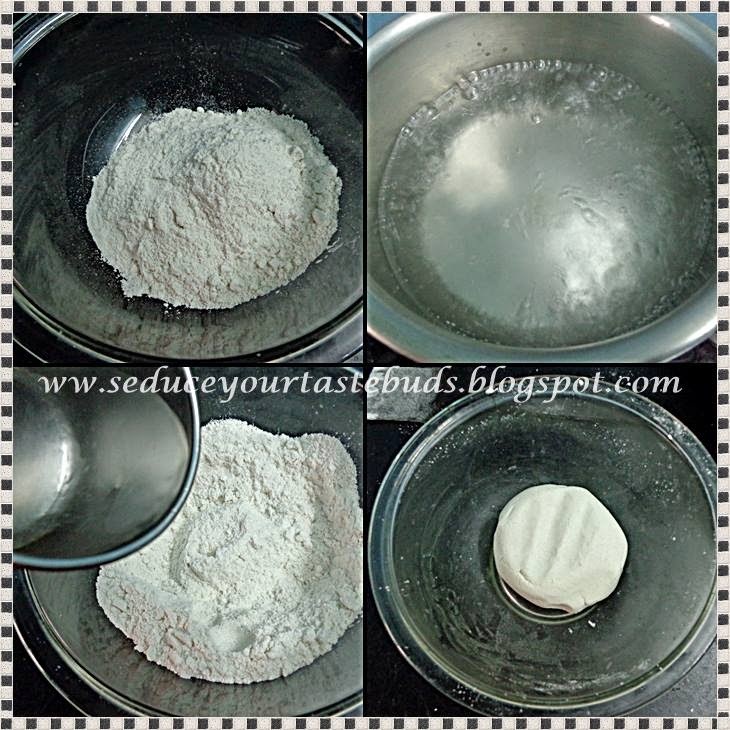 Take the flour in a bowl .Heat a cup of water and bring it to a rolling boil.Turn off the heat and mix in the rice flour.Stir well ensuring that lumps are not formed.Be sure to add water little by little and not all at once. 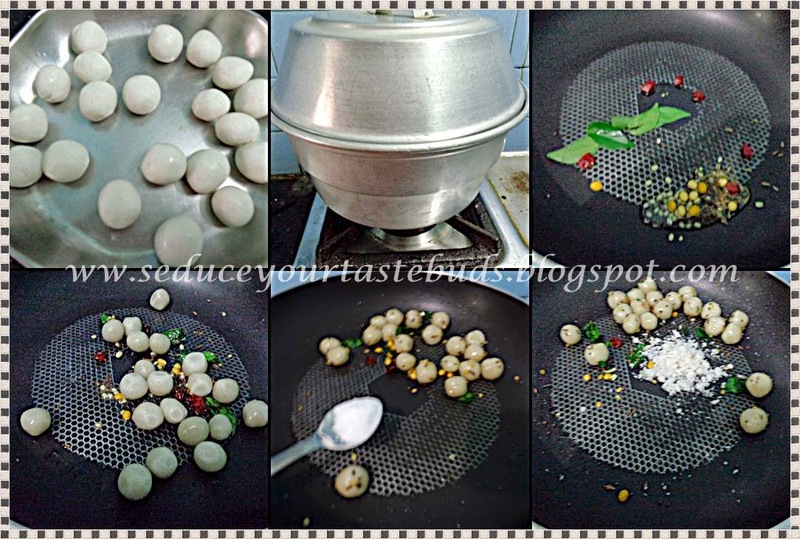 Roll into small balls and place them on a plate inside a steamer vessel. [I used my idli cooker. ]Steam them for 10 minutes or till you get the nice cooked aroma flour.Remove from the steamer and let it cool a bit. Meanwhile, heat a pan and put in the oil for seasoning.Add the mustard, cumin and asafoetida powder. When it splutters, add the urad dal, channa dal, curry leaves,red chilies and cook till the dals browns a little.Put in the steamed balls,salt and mix well. Add the grated coconut give it a stir and remove from heat. This tastes best when served straight off the pan. It dried out a bit when cooled. Also this should not be steamed for a long time.Check and remove once the surface gets glossy.Else the balls will be very rubbery.